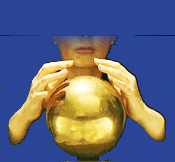 I use tarot cards, astrology and metaphysical experience along with psychic insight to answer your question or give you assistance with a challenge. I am very quick and communicate clearly, with compassion and respect. Wow she is great! I have to call again! Thank you and I really enjoyed our conversation! Ran out of time! spot on reading! "What is the fastest known force in the universe?" the teacher asked. The students all said "Light!" "No," said the master. "It is the mind"
When I was young, I took a strong interest in metaphysics. After college, I was an intelligence specialist for the Navy, due to my abilities in pattern recognition. Years ago, I had an out-of-body experience that changed my life. My "djed" awoke (the magnetic core that runs parallel to the spine) and I experienced a full, spontaneous opening of my energy centers. Along with this, my ability to "know" the deeper meaning to seemingly chaotic occurrences grew exponentially. My innate talent for pattern recognition also grew exponentially, especially as it applies to interpersonal relationships. Following my spiritual awakening, I returned to metaphysics and studied astrology, tarot, alchemy and spiritual principles with renewed intensity. I have worked with David Wilcock (writer, psychic) who is working on a metaphysical movie called "Convergence" that is being produced in Hollywood. I have given readings to thousands of people worldwide over the years. We are at the very cusp of unlimited possibilities, with millenia of evolution behind us. We are living proof of a Creator which surrounds and is within us. All of us are the culmination of our own and our ancestors' life experiences. Each of us also contain a spark of divine, Universal, unbounded wisdom. Our earthly experience combines with our Universal spirit and brings forth a unique energy signature. Together, we make up the weave, or web, of Life's perfect pattern. She is excellent and Keen won't let me tell you just how good she is. Trust me, she's great! Call her, and thank you! Eve Light has been a user of Keen since 2007. 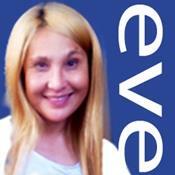 Getting Love & Relationships advice from Eve Light through www.keen.com is safe, secure and confidential.